Waking up and watching the sun rise over the ocean is just one way to start your day at this week’s Featured Property, Gull Cottage East. 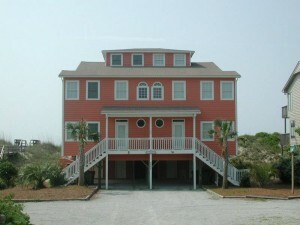 Located in beautiful Emerald Isle, this 5 bedroom (1 king, 4 queens, 1 single), 3 bathroom oceanfront duplex sits right on the beach and provides endless panoramic views. Gull Cottage East features a cozy open floor plan with quality furnishings and hardwood flooring throughout. 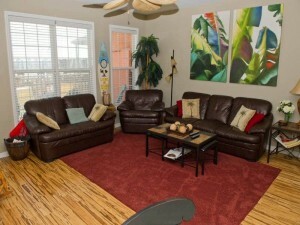 The living room features a 42 inch flat screen HDTV and large windows. 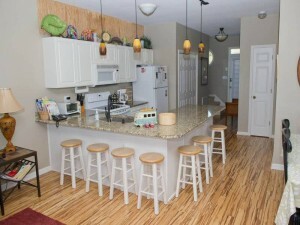 The kitchen includes all major appliances and can seat 6 people at the table and 7 at the bar top. A spiral staircase leads to the top floor cupola bedroom with a private deck. The property also features a dishwasher, washer/dryer, 4 cable TVs, 2 DVD players, wireless high speed Internet access and ceiling fans throughout. Amazing views can be seen from the covered and open decks with porch furniture on all three levels. 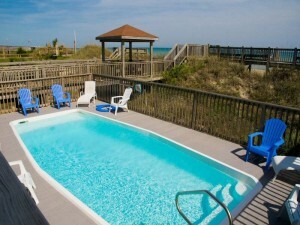 Outside you will find a 12’ x 28’ oceanfront swimming pool (shared) with a heated pool option available. 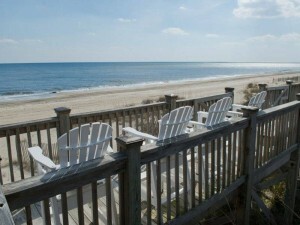 There is also an outdoor grill, enclosed hot/cold showers, covered gazebo and a 50 ft. oceanfront dune deck with benches. Don’t leave your furry friend behind. 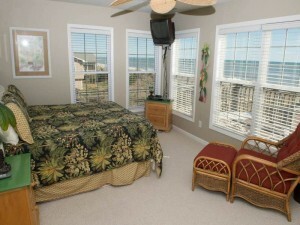 Gull Cottage East is also a pet friendly property with a $150 non-refundable fee per pet (2 maximum, 40 lb. limit). For extra fun on your vacation, invite additional family or friends. They can stay next door at Gull Cottage West. Check rates and availability for this oceanfront condominium.  View additional property photos of Gull Cottage East.